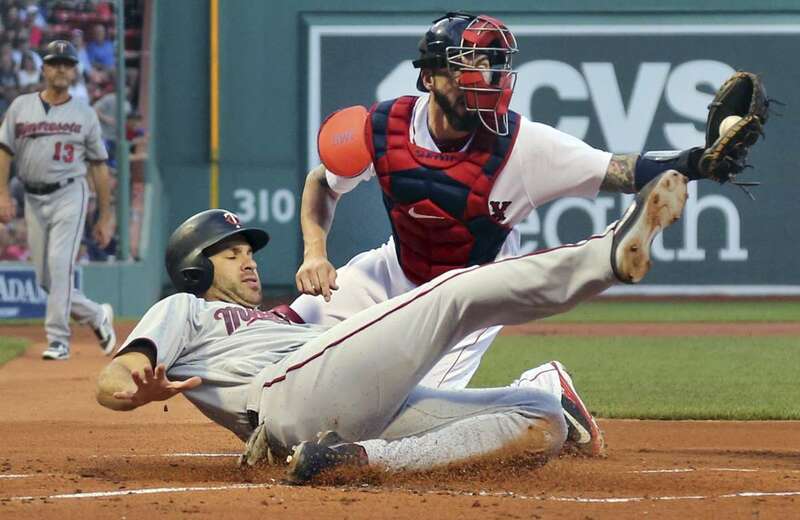 The Red Sox catcher Blake Swihart shows he has control of the ball after tagging the Twins' Joe Mauer out at the plate on Thursday in Boston. The Twins won 2-1. 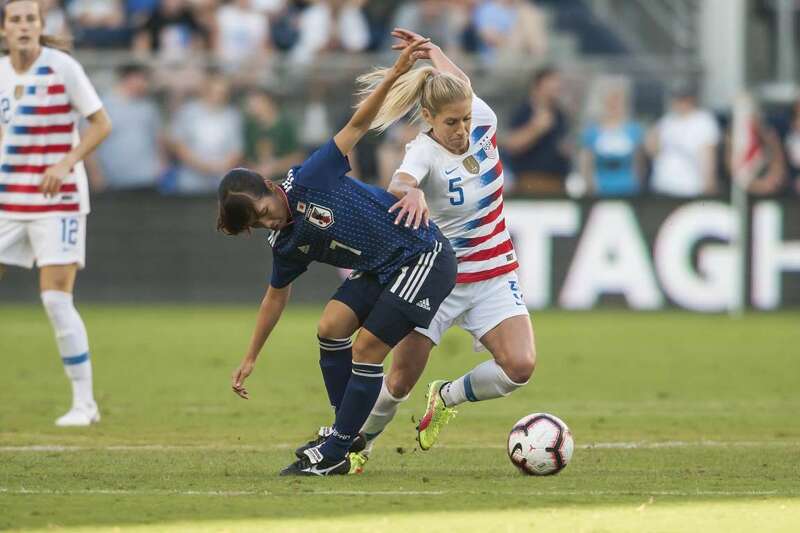 Japan's Emi Nakajima, left, and the US's McCall Zerboni battle for the ball during the Tournament of Nations on Thursday in Kansas City. The US won 4-2. Amed Rosario of the Mets scores ahead of the tag by the Pirates' Richard Rodriguez, center, on a wild pitch on Thursday in Pittsburgh. The Mets won 12-6. 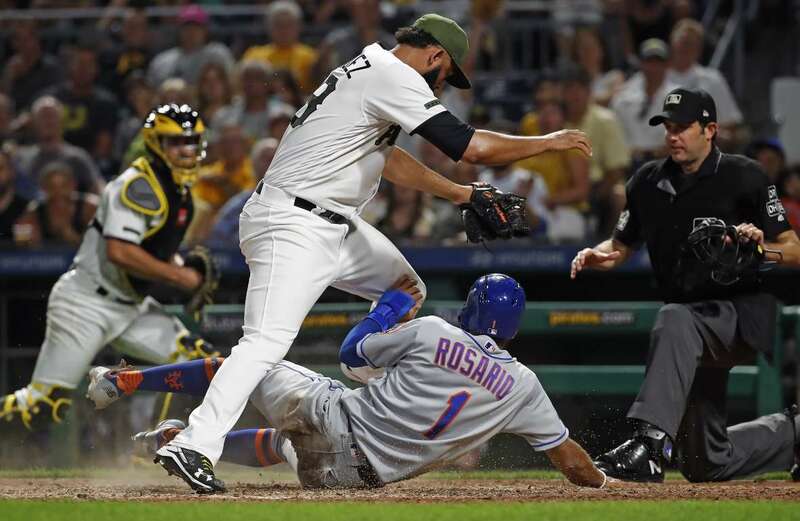 Pirates down Amed Rosario of the Mets scores ahead of the tag by the Pirates' Richard Rodriguez, center, on a wild pitch on Thursday in Pittsburgh. The Mets won 12-6. 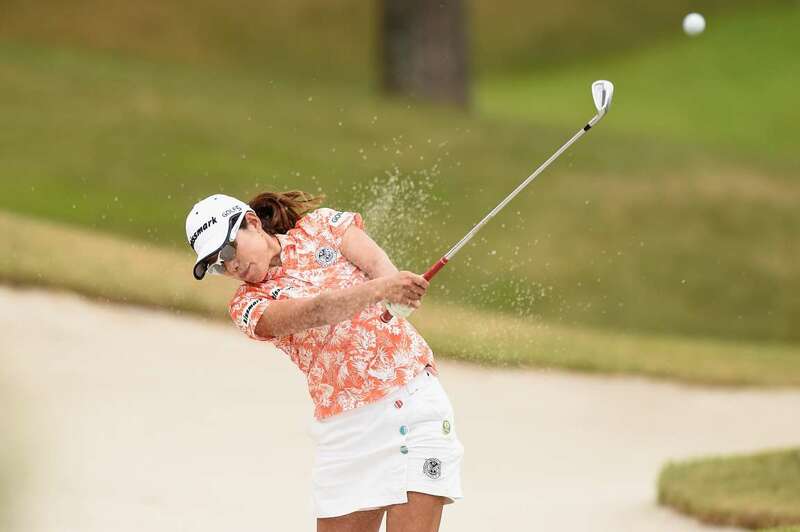 Narumi Yamada of Japan hits out of the bunker during the final round of the Castrol Ladies on Thursday in Chiba, Japan. 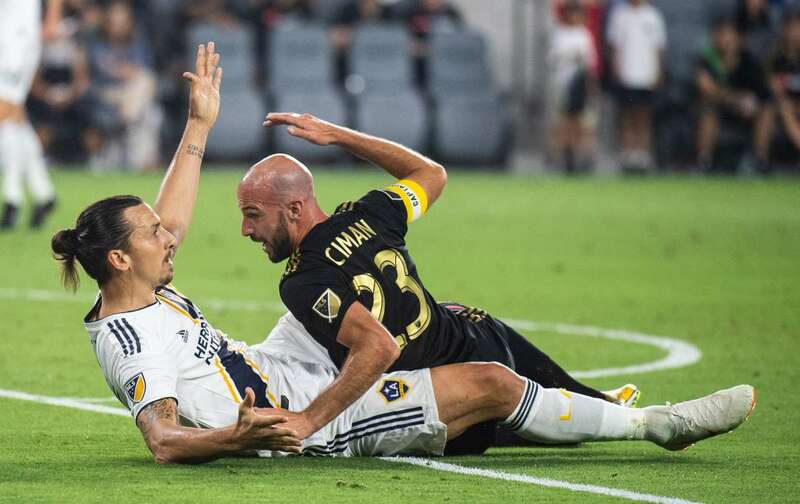 Los Angeles Galaxy's Zlatan Ibrahimovic, left, and Los Angeles FC's Laurent Ciman get tangled up on Thursday in Los Angeles. The game ended in a 2-2 draw. 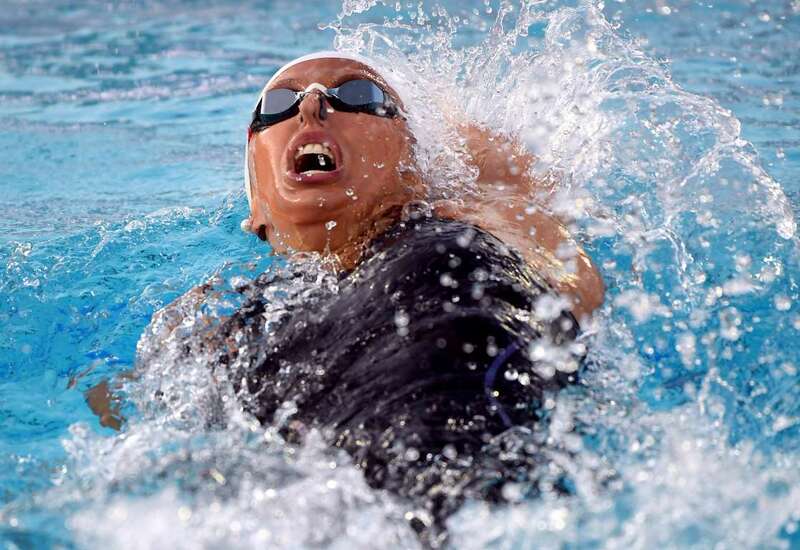 Kathleen Baker swims to a first place tie in the 200 LC Meter Backstroke Final during the National Swimming Championships on Thursday in Irvine, California. 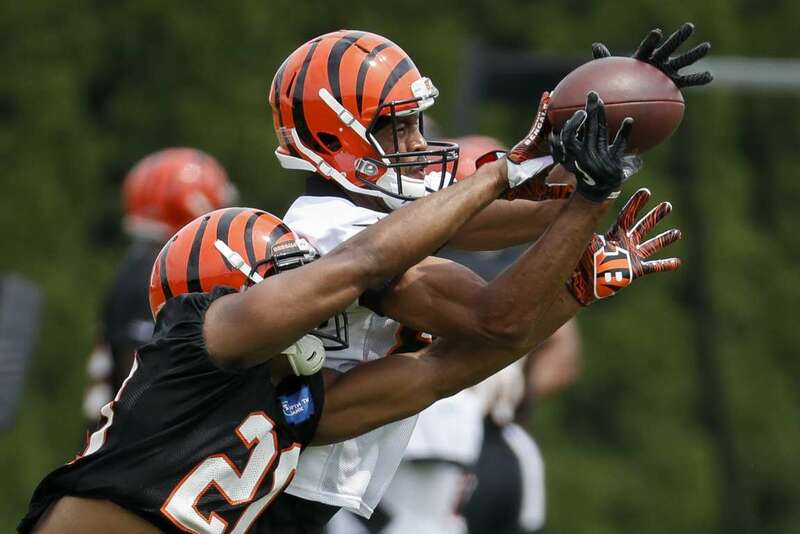 The Bengals' KeiVarae Russell, left, reaches to break up a pass to wide receiver Josh Malone, right, during practice on Thursday in Cincinnati. 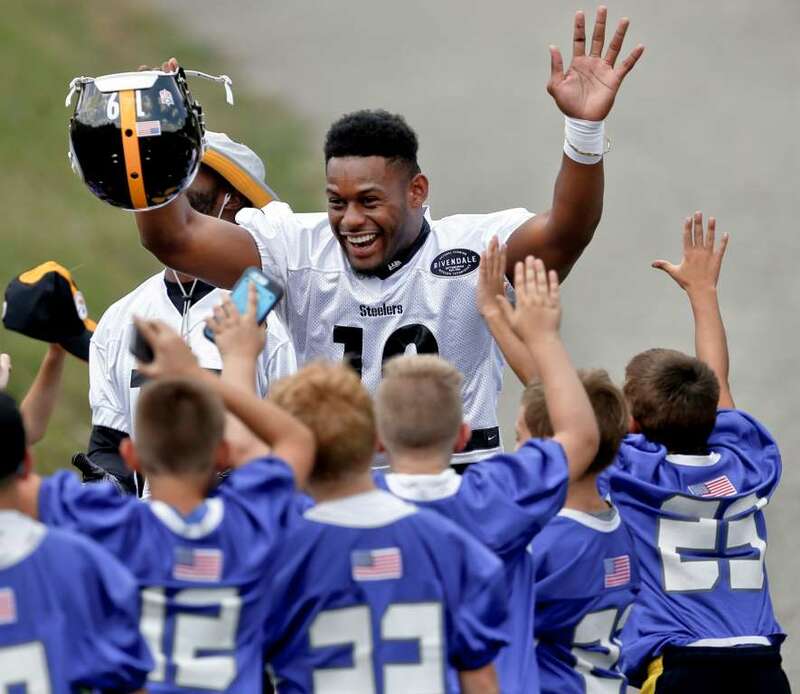 The Steelers' JuJu Smith-Schuster is greeted by young fans as he takes to the practice field on Thursday in Latrobe, Pennsylvania. 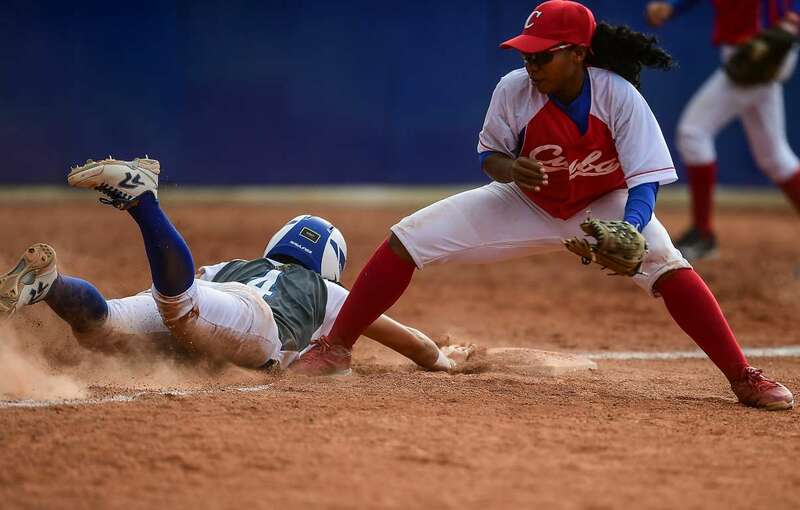 Puerto Rico's Elicia D'Oracio, left, makes it safely into second base as Cuba's Daimela Puentes fails the out during softball match of the 2018 Central American and Caribbean Games (CAC), on Thursday in Barranquilla, Colombia. 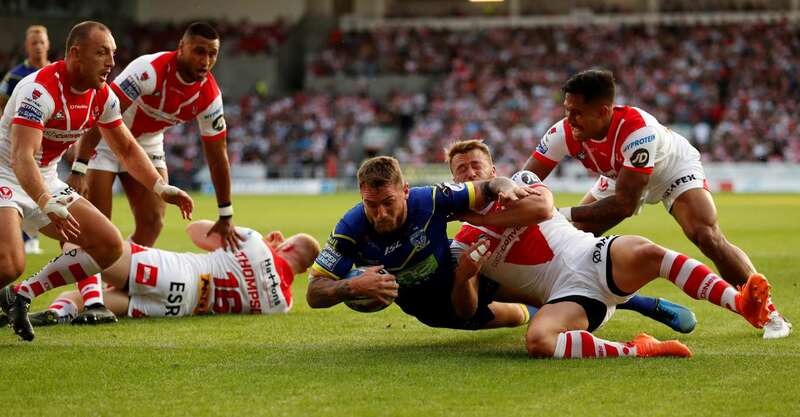 Warrington Wolves' Daryl Clark scores a try against St Helens duirng Rugby Super League on Thursday in St.Helens, Britain. 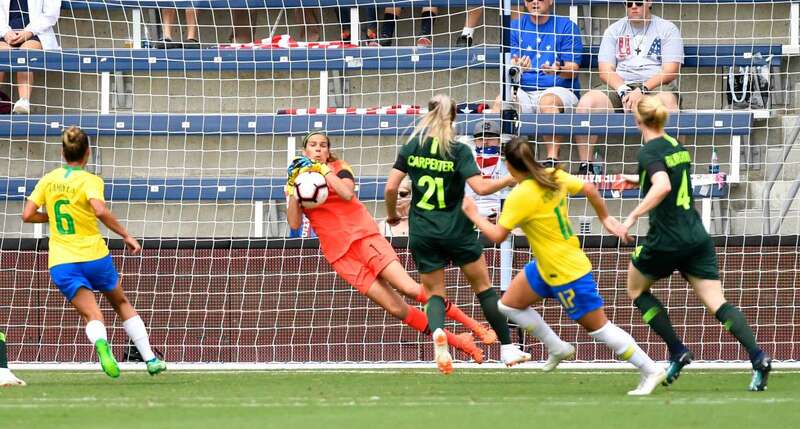 Australia's goalkeeper Lydia Williams, center, grabs the ball during the Tournament of Nations football match against Brazil on Thursday in Kansas City, Kansas. Australia won 3-1. 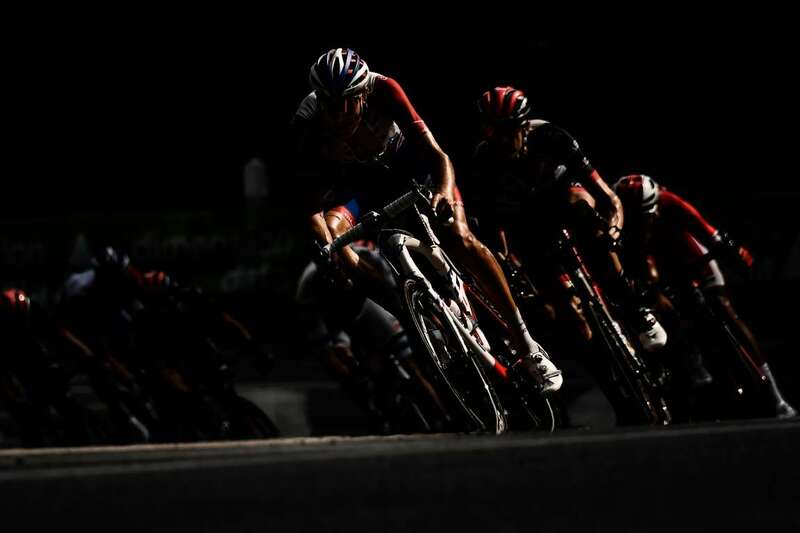 The pack rides through a bend, chasing a 5-men breakaway during Tour de France cycling race between Trie-sur-Baise and Pau, southwestern France on Thursday. 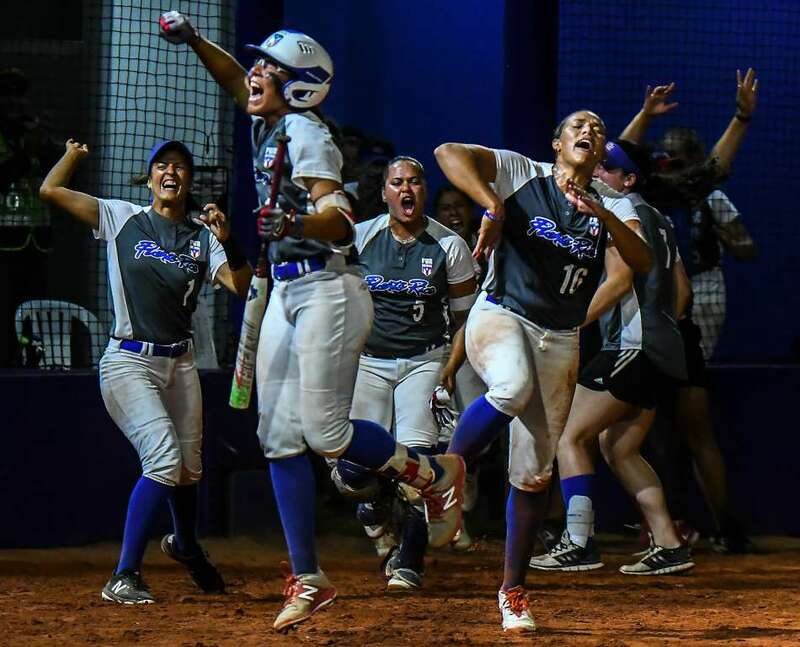 Puerto Rico's players celebrate after winning the gold medal in softball against Mexico at the Central American and Caribbean Games (CAC) on Thursday in Barranquilla, Colombia. 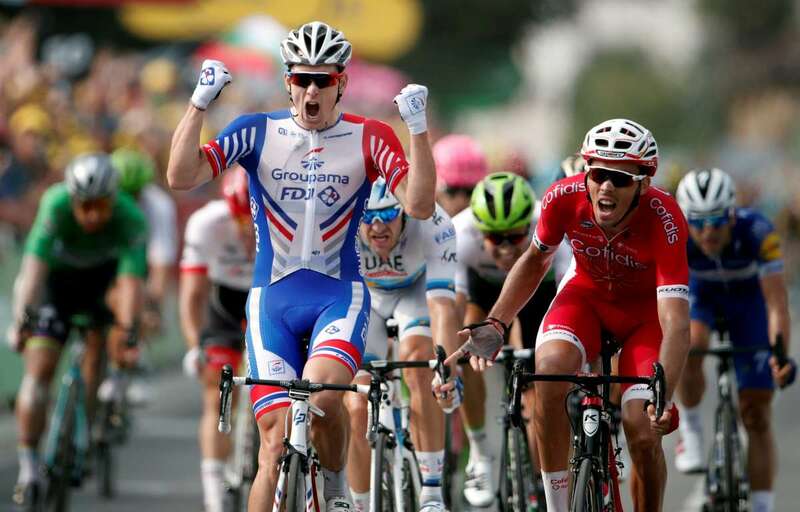 FDJ rider Arnaud Demare of France wins the stage ahead of countryman and Cofidis rider Christophe Laporte during stage 18 of the Tour de France from Trie-sur-Baise to Pau, on Thursday. 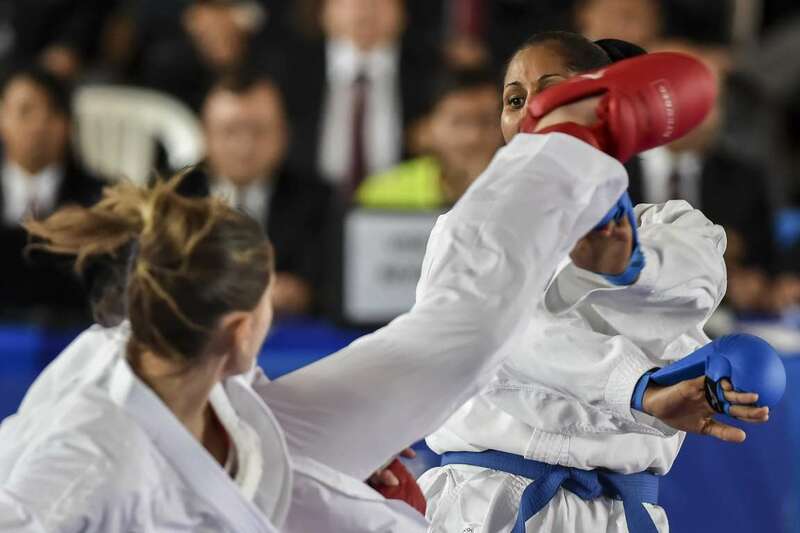 Cuba's Cirelys Martinez, right, competes with Venezuela's Marianth Cuervo under 68 Kg for gold medal bout, during the 2018 Central American and Caribbean Games (CAC), on Thursday in Barranquilla, Colombia. 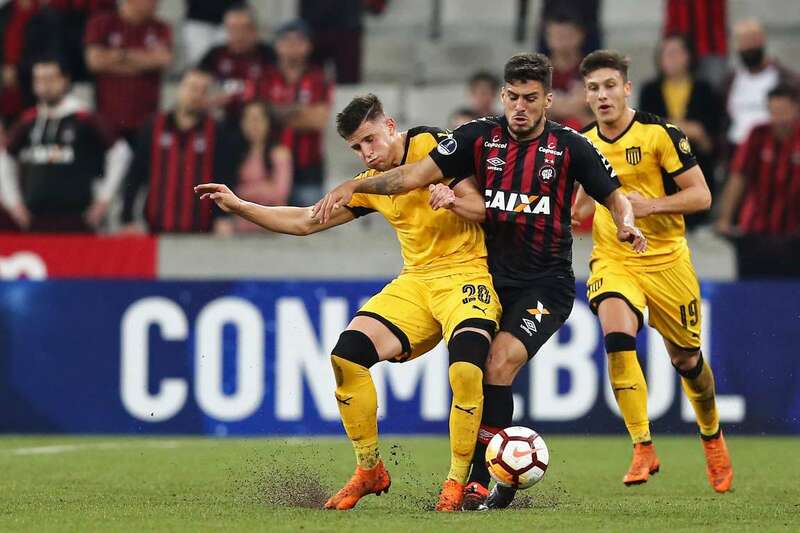 Atletico Paranaense's Marcinho, right, vies for the ball with Giovanni Gonzalez of Penarol, during their Copa Sudamericana football match on Thursday in Curitiba, Brazil. Atletico Paranaense won 2-0. 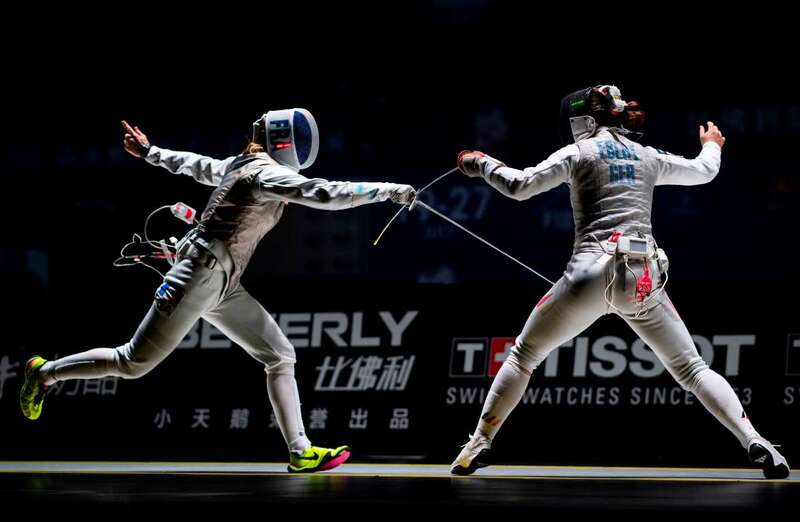 Astrid Guyart, left, of France competes against Leonie Ebert of Germany during the women's foil team competition at the 2018 World Fencing Championships on Thursday in Wuxi, China. 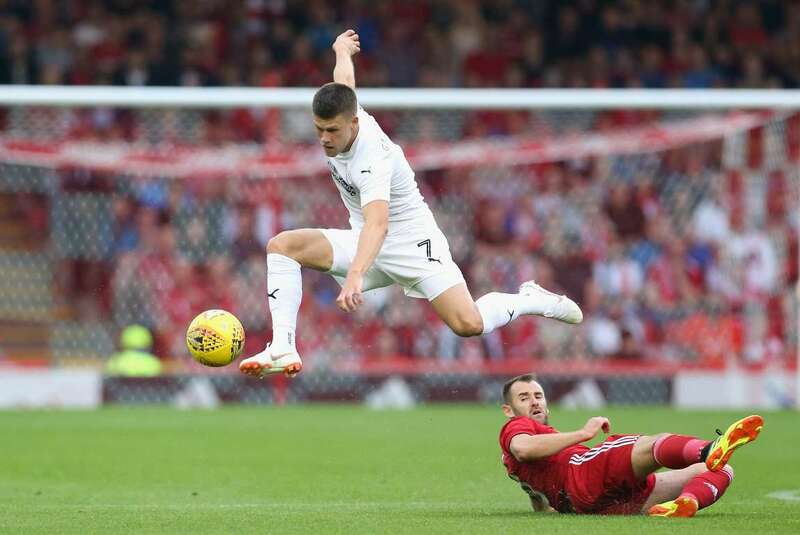 Johann Berg Gudmunsson of Burnely and Niall McGinn of Aberdeen during the UEFA Europa League on Thursday in Aberdeen, Scotland. The match ended in a 1-1 draw. 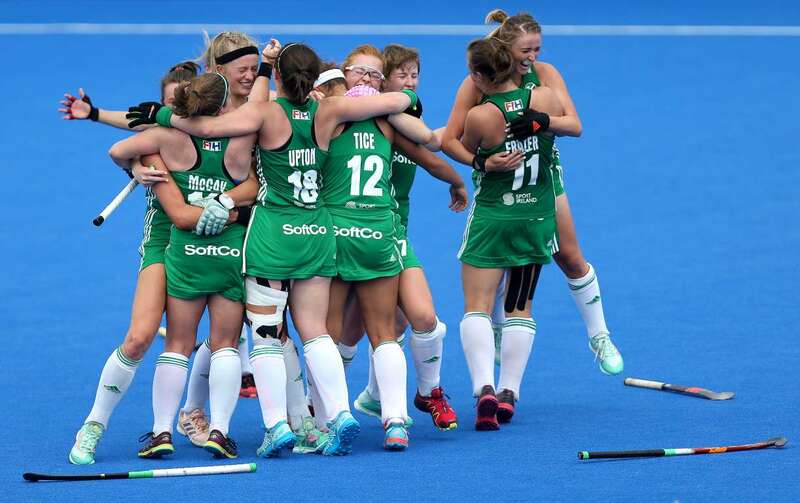 The Ireland team celebrate victory after the Group B game against India during the Field Hockey World Cup on Thursday in London, England. 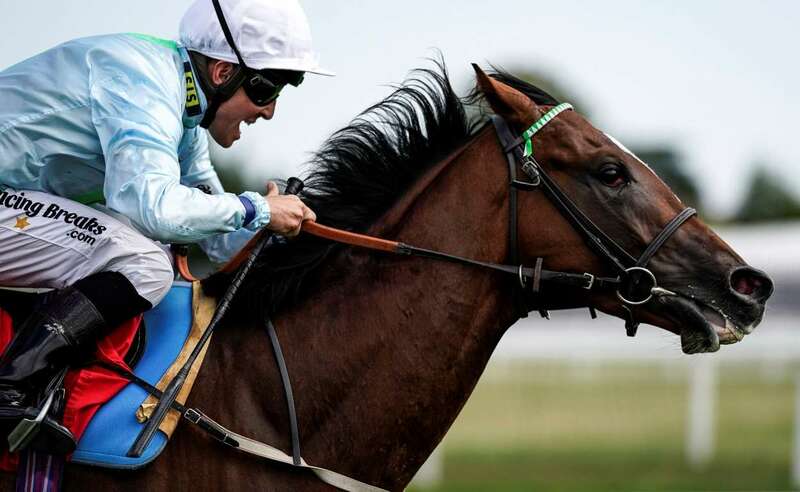 Jim Crowley riding Jackfinbar wins The Sri Lanka The Wonder Of Asia Handicap Stakes on Thursday in Esher, London. 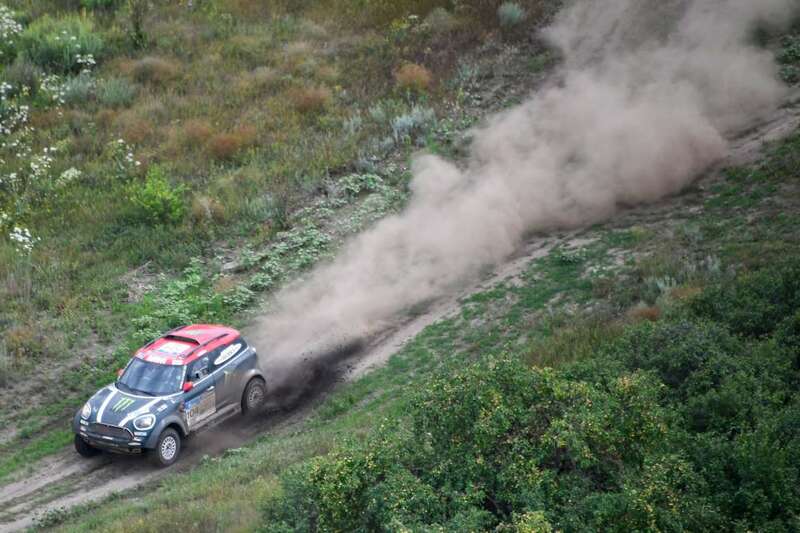 Mini Cooper Spanish pilot Nani Roma and Spanish co-pilot Alex Haro Bravo compete during the Silk Way Rally Volgograd-Lipetsk on Thursday in Russia.